She didn't start her practice until graduate school. But once she began, it changed her life. Jessamyn Stanley at Quaker Rise & Thrive Wellness Festival. Jessamyn Stanley, yoga teacher, body positivity advocate, and author of Every Body Yoga, didn’t find her transformational yoga practice until she was in graduate school. But once she did, it was a major life pivot point. 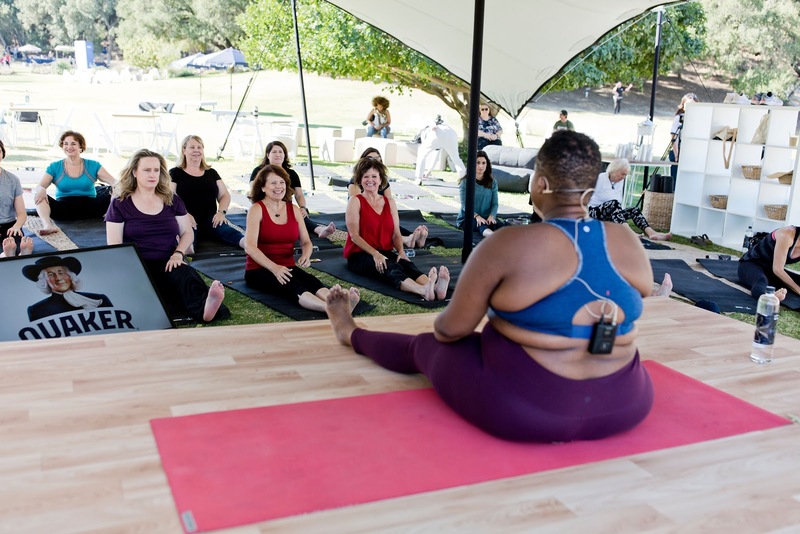 This discovery is what drives Stanley to teach yoga — she believes that everyone deserves to have that same awakening. Yoga is good for everyone — it can reduce back pain and blood pressure, and one study even reports that it can positively impact the biological markers of aging and stress. Stanley points out that when we do yoga, we engage in mindful thinking about how we feel right now, rather than how we look right now. And while we’re going to be in a different place emotionally, physically, and spiritually every time we step onto the mat, it’s always helpful to reconnect with where we are in the moment, and how we feel. Life is full of big changes. But yoga is meant to help ease us into those transitions. One of Stanley’s favorite tools for staying calm and grounded is returning to a focus on your breath. New to yoga? Ease into it with simple poses, like tree pose, mountain pose, and child’s pose. Don’t be afraid to start small and build up to harder poses with practice and time.